Darrell S. Freeman, founder of Zycron, Inc.
One of the largest Black-owned businesses in the nation just sold for a whopping $20 million. 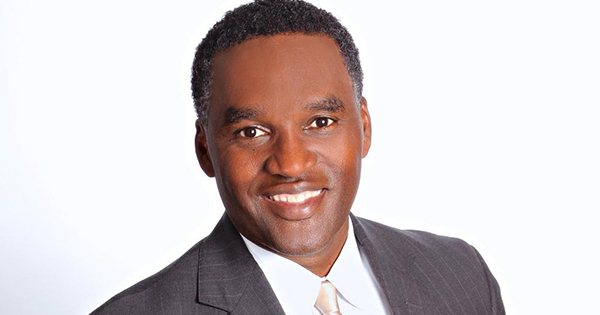 Zycron Inc., a customer-focused information technology services and solutions firm in Nashville, Tennessee, founded by Darrell S. Freeman, was bought by BG Staffing Inc.
Before he sold it, Darrell's company ranked 67th on the most recent Black Enterprise 100’s list of the nation’s largest Black businesses. Even more, it was (and remains) one of the largest information technology companies in the city of Nashville. In 1991, at age 26, Darrell founded Advanced Computer Services (which months later he renames Zycron), a retailer of hardware and software. With two employees who worked out of a 150 square foot office, Zycron’s first year of operation yielded $10,000 in revenue. By 1996, his company's staff had increased to 10 people, and the company reached $2.6 million in sales. Furthermore, Zycron continued to expand its footprint in the private and government sectors by landing multiple contracts including a $2.4 million deal with Indianapolis Power Co. and a $300,000 contract with Mercedes. Through the years, Zycron continued its steady growth in revenue and number of employees. By 2002, the company had a staff of approximately 80 team members, and the company’s total revenue exceeds $13 million. By 2006, Zycron’s revenue grew to $19.4 million, and most recently to $38 million in annual revenues. Darryl, who holds a bachelor's and a master's degree from Middle Tennessee State University, says he financed his business with $30,000 in credit card debt. He attributes his company's success to contracts with large agencies and businesses, including the Tennessee Valley Authority and FedEx. In fact, 60 percent of their revenues come from government contracts. In 2016, the company celebrated 25 years in the information technology industry and The Nashville Business Journal named them the Top Tech Services firm in the city for the fourth year in a row. Although the company has been sold, Darryl still has his hands in the business as Executive Managing Director with an annual salary of $3 million. In addition, as co-founder and co-organizer of Tennessee-based Reliant Bank (Commerce Union Bank (NASDAQ), Darrell serves on the Board of Directors. He is also the co-founder and chairman of Pinnacle Construction Partners, which provides a full range of preconstruction planning and construction management services for the public and private sector.